You may remember that last year I experimented with the wonders of food preservation by canning homemade salsa and strawberry jam. We finished off the 3 pints of salsa in just over a week, and since learning how to make my own jam, I’ve become a “jam snob” and refuse to eat anything that’s not homemade. 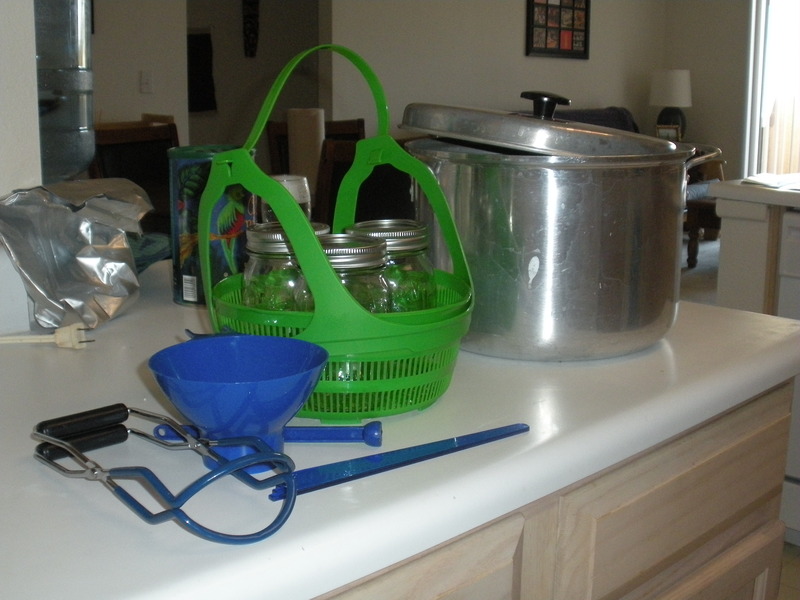 As I continue to experiment with simple living I was excited to recently learn about a 2-day course in Master Food Preservation offered by the University of Nevada Cooperative Extension (with instruction from Utah State University). Master Food Preservers are similar to Master Gardeners whereby you take an intensive, hands-on class to gain expertise and then commit to serve as a volunteer educator in your community. Many communities have Master Food Preserver programs. To find out if your community has one, I recommend checking with the public university in your state’s cooperative extension program. Safety measures to take to prevent ingestion of deadly micro-organisms. Since I’m now committed to doing 40 hours of volunteer service over the next year, I hope to do a few more posts on food preservation. I’m looking forward to trying to make new things like fruit roll-ups, homemade pasta sauces, canned veggies and even beef jerky (although I won’t be personally sampling that one). 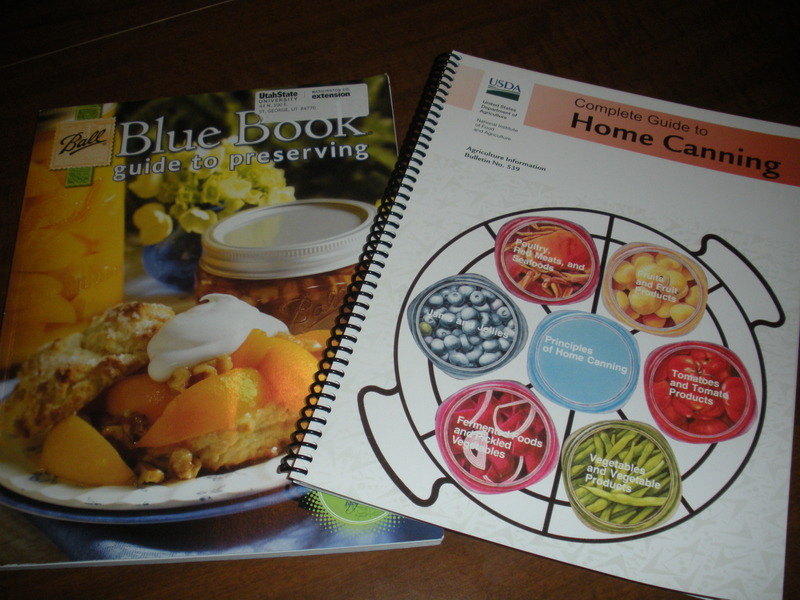 Books: In class, we used the Ball Blue Book Guide to Preserving and the USDA’s Complete Guide to Home Canning. Both are comprehesive resources with step-by-step instructions and recipes, and meet the U.S. Department of Agriculture’s recently revised guidelines for home food preservation. Websites: The National Center for Home Food Preservation through the University of Georgia is another great resource with free information, videos and recipes. Master Food Preservers of Southern Nevada also has a website. For acidic foods with a pH of less than 4.6 (i.e. most fruits and recipes containing lemon juice or vinegar), you’ll use a water bath canner. I’ve just been using a large stock pot, but you can also purchase a commercial water bath canner that comes with other essential canning supplies, including a rack. If you’re going the stock pot route, and don’t want to invest heavily in canning equipment, Ball sells a starter kit with plastic canning rack and 3 pint jars, and a utensil set with lid lifter, jar grabber, bubble remover and jar funnel for a relatively low cost. Pressure canners should be used for low-acid foods with a pH above 4.6 (i.e. meats and most vegetables). Our instructor recommended Presto Pressure Canners as a light-weight, durable brand. Since today was my first-ever try at pressure canning, I hope to explore this topic more in future blogs. 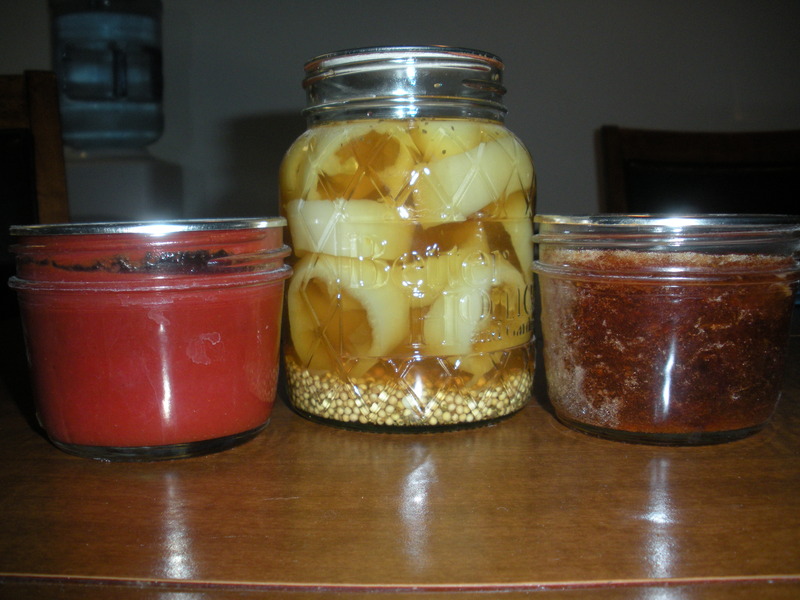 This entry was posted in DIY, The Simple Living Experiment and tagged Canning, canning equipment, DIY, food preservation, simple living. Bookmark the permalink. Maybe try salmon jerky for a treat you can eat.